Each year, the top colleges in each conference are ranked based on coaches votes. This past Fall, Michigan Tech’s sailing team placed in the top ten for coed teams in the MCSA conference. Congratulations to all of the sailors who raced this season. The link for the rankings is provided below. School is back in session and that means we are back on the Portage! If you’re interested in joining the race team or if you would like to learn how to sail so you can join us in the fun we have at regattas, contact our Race Captain, Taylor Hover at tjhover@mtu.edu. Hope you had a fantastic summer. 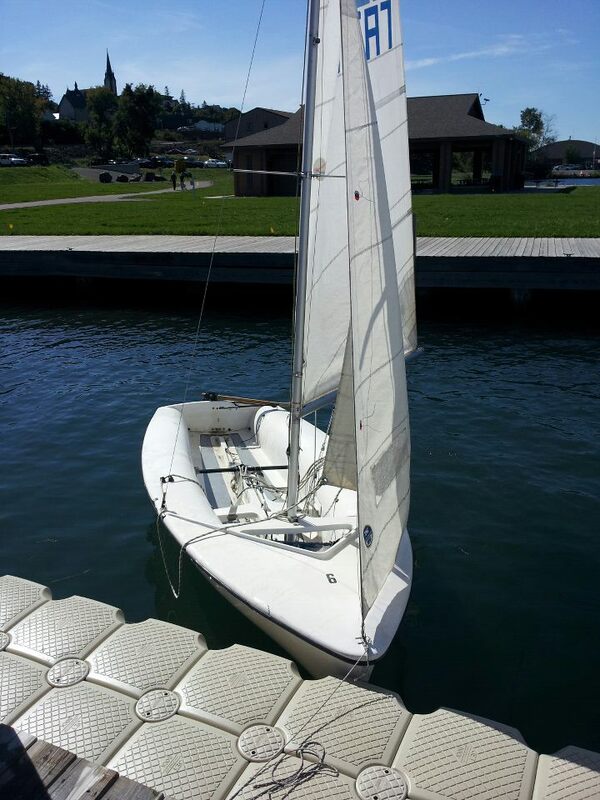 It is just about time for classes to start and for us to begin the sailing season. I would like to invite our returning sailors and anyone interested in joining the club to our recruitment barbecue this Sunday at the East Houghton Waterfront Park from 1-5 pm. In the case of inclement weather the event will be rescheduled for Tuesday from 5-7 pm. The team will be providing Hot dogs, veggie dogs and buns. Rides will be provided from the Wadsworth Hall main entrance. Nice Day for a Sail?